Great meals don't always have to require allot of preparation. 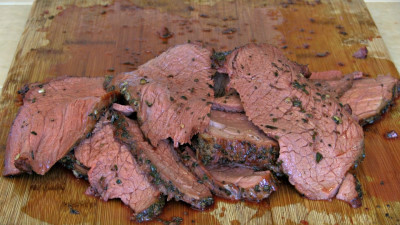 In this cook I will demonstrate hot to take a beef roast and turn it into an amazing savory slow cooked roast that requires very little preparation. 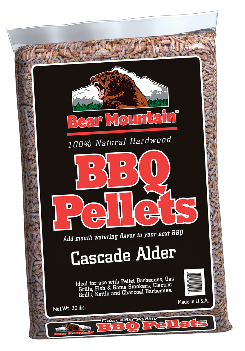 Start by pre-heating your cooker to 225 degrees F. In my case I'm cooking on the Yoder YS640 pellet cooker and burning Bear Mountain Cascade Alder BBQ pellets. 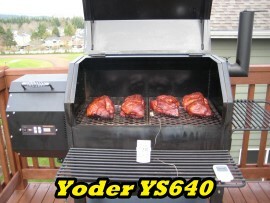 I'm also using the Amaze-N-Tube-Smoker by Maze-N-Products LLC. 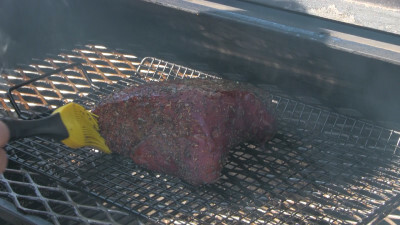 This cold smoke generator is used to augment the smoke from the pellet cooker giving a more pronounced smoke flavor to the meat. 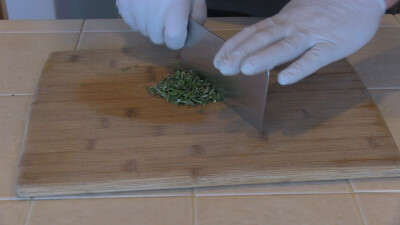 Now take two large sprigs of rosemary and strip the needles fro the stems and chop finely. Set aside a pinch of the rosemary to use with the garlic butter sauce coming up. Evenly spread the remaining rosemary around your cutting board. Sprinkle coarse sea salt and black pepper around your cutting board. Use the amount you wish to have on your roast. I used liberal amounts. Rub some extra virgin olive oil (EVO) all over the roast. The roast I used is a 3.04 lbs. boneless beef chuck cross rib roast that was on sale. Top round or bottom round would do as well. 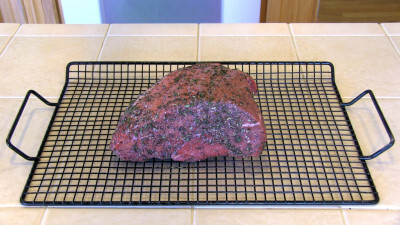 Once coated with EVO, roll the roast across the cutting board picking up all the herbs and spice. Make sure to coat all sides, top and bottom. 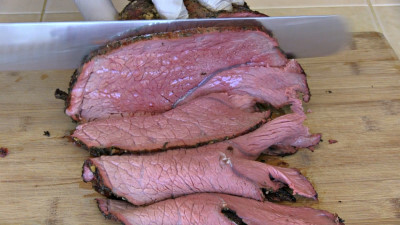 Place the roast on a smoking rack and set it aside. Now its time to make the garlic butter sauce. In a small mixing bowl melt 1/2 stick salted butter. Add the following to the melted butter and stir thoroughly. Place the seasoned roast into the cooker pre-heated to 225 degrees F. The target internal temp I shot for was 135 degrees F. The Beef temp chart below will help you find your desired target temperature. After the roast has been cooking for one hour, mop the roast with the butter sauce. 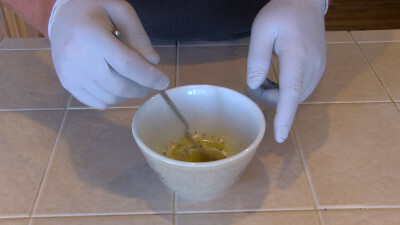 If the sauce has hardened give it 20 seconds in the microwave to soften to a liquid. When mopping ick up some of the herbs and transfer them to the roast along with the butter. As the roast continues to cook, mop every 1/2 or so with the butter sauce. Once the roast reaches your desired target internal temperature, remove from the cooker and wrap in aluminum foil and let rest for 20 minutes. This will allow the juices to redistribute within the meat. Once rested, transfer the roast to your cutting board and using a sharp carving knife, carve the roast into slices of desired thickness. 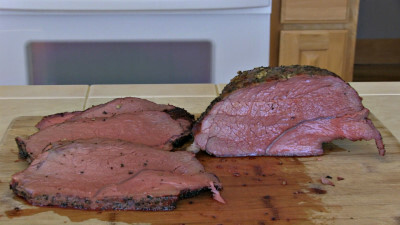 Your roast should be extremely moist with a nice savory flavor. That's it, it's a simply but delicious cook. 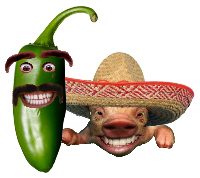 I hope you enjoyed the recipe and video.